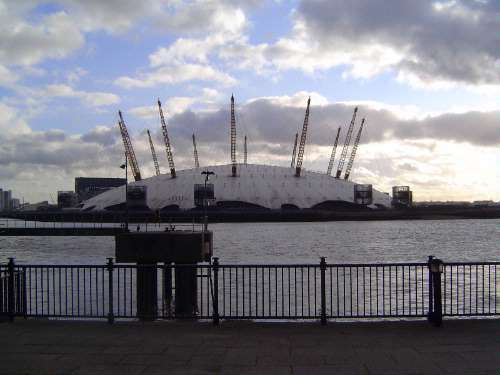 We've swept around the meander and are looking across the river to the O2 arena (formerly the Millennium Dome) at the northern tip of the Greenwich Peninsula. The dome is farther away than it looks: its span is fully 365 meters. Call it 400 meters from this spot to the nearest edge of the dome.